Clay Aiken – Good News! There is nothing like Central Park on an early spring Sunday. Jerome Bell has been Clay Aiken’s bodyguard and friend since Clay was on tour with Season 2 – American Idol. They have spent hours together, touring, traveling, and have become close friends. Jerome Bell’s warm smile and welcoming laugh have been a Gala constant for 15 years. He’s been there every step of the way as a professional, a supporter, and a friend. From his 6’7” vantage, he has watched over all of us, literally and figuratively. No Gala would be complete without Jerome. A steadfast advocate of inclusion, we were honored to name him a Founders’ Award winner in 2017. Now, as keynote speaker, Jerome will be speaking for the first time about his personal experience with disability and inclusion, the depth of which took on a whole new meaning after he suffered a serious, life-altering work accident in the fall of 2016. I am so glad that we will have the opportunity to hear from Jerome. Most of us know that on November 21, 2016 Jerome’s life changed. 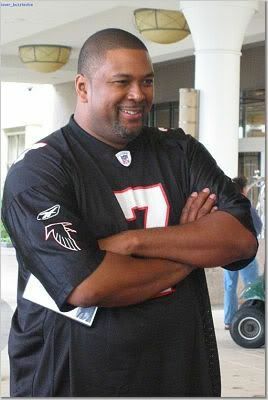 While working an event in Atlanta, Jerome was struck by a malfunctioning forklift. The injuries that resulted were devastating. In addition to shattered pelvis and multiple breaks in his right leg, doctors were forced to amputate his left leg from mid-thigh. He also sustained traumatic injuries to internal organs. But Jerome is an amazing man and he is living a difficult, but inspiring life. I know that he will help us all understand more about Inclusion and how it helps everyone! One of my favorite memories of “the fun” Jerome took place in San Francisco at the final Tried & True concert. I will never forget sitting there and hearing Clays voice filling the theatre from backstage. And when the curtains parted, we all looked up to see JEROME standing at the mike, pretending that he was the artist for the night! It was a fun touch for the final concert. 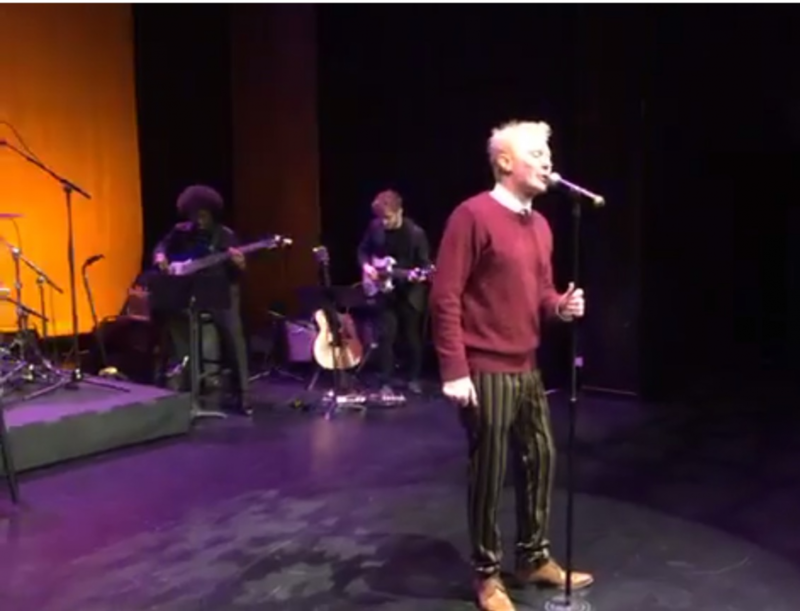 The following video by the talented SueReu is from the San Francisco concert. The video highlights Clay’s voice and throws in the moment Jerome is seen on the stage. I hope you will take a few minutes and watch it. Clay sounds wonderful and Jerome will make you smile! Have you bought your tickets to the Gala yet? I think it is going to be wonderful and full of joy, education and dedication to a wonderful organization. Oh, wait…Clay will be there too! Error: Error validating access token: Session has expired on Tuesday, 21-Aug-18 16:13:01 PDT. The current time is Thursday, 25-Apr-19 17:26:36 PDT.